For work safety gloves look no further that the great range of work gloves and safety gloves stocked by Pattersons Cleaning Supplies. Discover in the work safety glove department safety gloves for a variety of hazards, with professional work gloves that will offer protection to your hands. For hand protection, Pattersons Cleaning Supplies stock all the popular gloves liked by the cleaning, food and industrial industries. Featuring a variety of different work & safety gloves including a huge collection of rubber gloves loved by cleaners for general cleaning, washing up and other light household duties. Our range of rubber gloves come in a variety of colours from the popular yellow rubber glove to pink, blue and even green rubber gloves! With all of the key sizes from small to extra-large this collection of rubber gloves has a rubber glove for everyone! Our work glove range also features a comprehensive range of disposable gloves, including vinyl gloves with an option of powder free or powdered, as well as an extensive range of latex disposable gloves. A good choice for those who suffer from an allergy to latex is our range of nitrile gloves, which are a superior safety gloves when it comes to puncture resistance. 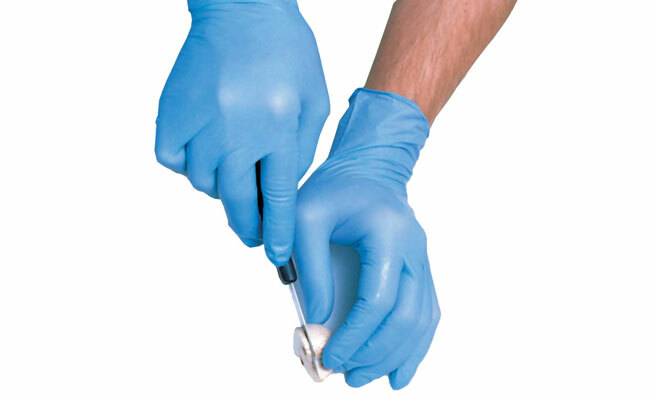 Pattersons Cleaning Supplies also stock examination gloves for the medical industry, as well as polythene plastic gloves for food service and of course glove dispensers so you can dispense any of our disposable gloves on a roll with ease. For work gloves for industry have a look at our work glove range. We stock a variety of safety gloves for a multitude of handling applications here at Pattersons Cleaning Supplies. Safety gloves are essential, especially as part of your PPE, so try our safety glove section for industry for a variety of gloves like riggers, chemical resistant gloves and nitrile work gloves. Our range of work safety gloves also features gloves for manual workers as well as thermal gloves to keep hands warmer in cold conditions.